Should you avoid nightshade vegetables? Over 2,800 species of plants that belong to this group1. As migraine sufferers, we need to pay careful attention to nightshades. You may have to avoid this group of vegetables altogether, as the nightshade contains neurotoxic alkaloids that can trigger a migraine. I always enjoyed a variety of different foods, especially the taste of eggplant and paprika. Cayenne pepper used to be my spice of choice when preparing a meal. Since they turned out to be significant migraine triggers, I was forced to completely remove all of these nightshades. My digestive system was highly sensitive to the vegetables. Keep a detailed food journal in order to understand whether nightshades should be partially or completely removed. Does quantity matter when it comes to nightshades? As migraine sufferers, we all have different thresholds that govern when a migraine will strike. In my case, even a small amount would cause an episode. Does boiling help with nightshades? According to research, boiling can reduce the amount of the toxic alkaloids in half. But you will not be able to remove all of the toxic substances using the method. In my case, it has not worked and even a small amount of neurotoxic alkaloids can have a tremendous impact on those of us with migraines. While cayenne pepper is widely touted for its healing properties, I found that it acted as a severe trigger. Since I was using the spice as seasoning in many different meals, it became difficult to isolate. Only though experimentation was I able to discover the offending trigger. It is also worth remembering that not all nightshades need to be removed from your diet. 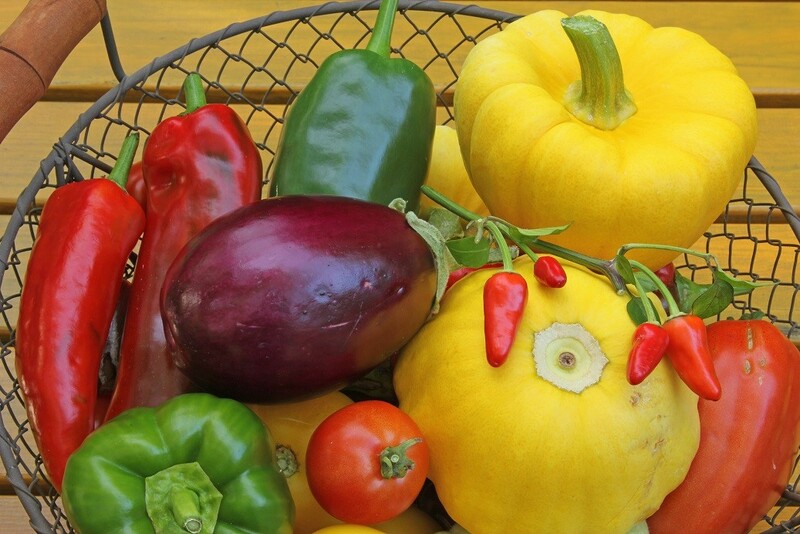 By the way, many of the nightshade vegetables are an excellent source of necessary vitamins. Do your own research by carefully removing and reintroducing a particular nightshade. Pay close attention to how you feel. My children and I always get bad migraines from eating even a tiny piece of bell pepper. It took me years of food journaling to work it out. We are also very sensitive to eggplant. We don’t react badly to chili peppers or tomatoes though. We become hyperactive after eating potatoes. Our capsicum migraines give us migraine strokes that damage our brains and cause hemiplegia which both take months to heal. There are suggestions that capsicum can stop the pain from migraines. This is very dangerous if nightshades are your problem and you don’t know it yet. I realize this is an old thread, but I too am lying here with a white-potato-induced migraine after carefully eliminating and re-introducing potatoes. And tomatoes- my beloved tomatoes!- are also a no-go. In response to the homemade versus commercial potatoes comment above, I learned recently that pretty much ALL commercially prepared potatoes, either in restaurants or the grocery store freezer aisle, have been sprayed with sulfites to prevent browning. Like a lot of migraine sufferers, I have terrible reactions to the sulfites in wine. What I hadn’t known is that sulfites are used as preservatives in practically every boxed, jarred, or packaged food. White flour, white sugar, baked goods, starches, pickles, meats, fish, hominy, all kinds of things can contain hidden sulfites. Labeling is only required over a certain threshold. That threshold is fine for most people. But not for most migraine sufferers. So if you can’t tolerate wine, your body might not be able to convert sulfites quickly. Instead they build up in your body, until you suddenly crash you over the threshold into migraine. I wonder now if that’s why my migraines often vomiting for days it always seems like my body is trying to purge a poison. I just went from three or four migraines a week to one mild migraine every two weeks by eliminating sulfites . So this nightshade migraine today was very telling. Thank you very much for sharing your discovery of migraine and nightshades. I have been suffering more than usual the amount of migraines lately. (I am currently having one so apologies if it turns out this post does not make sense). I organically grow eggplant and tomatoes in my garden and have eaten a lot of yucca (a type of tuber) with heaping servings of poblano and sweet peppers. I had always thought it was hormones and milk compounded with a sluggish thyroid that was the culprit. But I regularly eat cinnamon toast crunch cereal with milk to get me past the nausea and stomach pain during a migraine and creams and thyroid medication have been administered I had seen little relief. Thank you, thank you again. As the growing season is over I will re-think my garden next year and am very hopeful that this change in diet will provide some relief. Maybe my comment helps others. I get migraines when I eat potato (even potato flour in something like gluten free bread). But can eat chilli and tomatoes without issue. I would like to know the cause of this, as when I was younger it was no problem. Thank u one million percent. I ate lots of watermelon and have had 3 days of headaches and light sensitivity!!! Sooo grateful 2 have some VERY clear info from u and others here. Thank u again. I suffer from migraines for more than 10 years already. As many of us I tried everything. And there are 2 things that helps: 1-pulse diagnostics done by a very very good ayurveda doctor; 2-removing of nightshades. I discovered nightshades very recently. First, I thought I have migraines from fried potatoes, that was true. Then I thought it is from fried food (homemade only) but when I did the research, turns out it is the nightshade plants!! And now for 1 month avoiding nightshades I see wonderful results, considering, it is summer heat outside, some bad sleep patterns and stress. And still – no migraines recently. Don’t look for ways on how to prepare those nightshades to eliminate toxins, just completely avoid them and see the results! If anybody will do this experiment, please share your results! Potatoes are an amazing healing food for those with migraine as they contain lots of potassium and magnesium as well as prebiotics that help feed the friendly flora in the gut. Tomatoes, especially concentrated tomato paste, contains naturally-occuring glutamates. I have more of an issue with tomato than potato. Cayenne increases nitric oxide and contains capsaicin, which actually activates the herpes virus that lives in the cranial nerves contributing to migraine. It is a huge trigger. I have had problems with commercial hash browns, but not with homemade ones.There is sometimes an additive, like MSG, that can cause problems. I am presently testing raw organic potatoes as a migraine trigger, and they may well be the culprit. I have attempted to use them only very recently as a resistant starch (one digested by bacteria in the lower GI tract to reduce insulin resistance and improve butyrate formation). It seems to me that I am unable to use raw potato for this. MSG is a very harmful substance for those of us with migraines. It is also worth noting that white potatoes, from which french fries or hash browns are made, have a glycemic index of around 60 (reference: glucose). If salted, the index goes to nearly 80 (reference:glucose), with a glycemic load of approx. 26. Needless to say, this is a very problematic food to eat for many because of the glucose conversion. If migraines are experienced after eating potatoes, whether boiled, oven-baked, or pan-fried, within 1-3 days, it may indicate an intolerance to glycemic fluctuations. It might make sense to remove all sugars, carbohydrates, and so-called sweeteners, completely for around two weeks. This means all pastas, starches, breads, etc. as well. After two weeks, I would boil a white potato, peel it, and eat only half of it together with another food that is safe. Theoretically, this should not cause a drastic fluctuation in blood sugar. If nothing happens, then I prepare another meal and and eat the whole potato. Then I prepare and eat two. If no reaction was observed with 1/2, but there is a reaction with 1 or 2, then it could indicate issues with glycemic fluctuations. Bacterial overgrowth can also cause intolerance to potatoes and other starches, as imbalances weaken the small intestines, leading to “allergic reactions” due to excess histamine production. Potatoes are one of the biggest migraine triggers for me. Unfortunately I an recovering from another “test” of this now. Only 4 bites of hash browns were the cause. This time it took less than day to start, but often there is a delay of 2-4 days. I have tried organic potatoes to see if it makes any difference – it doesn’t. Hi Jennie. Potatoes are interesting for many reasons but I would be curious to find out whether the hash browns were store bought. There are many factors as to why it is possible to get a reaction from potatoes. To the extent that there is a reaction to one nightshade, the likelihood of intolerance to other vegetables from the nightshade family increases. For example, tomatoes and eggplant are some of the more common ones. Based on the pictures above, (I searched online and didn’t find nothing about) are Okra and Zucchini nightshade plants? Hello. They are not nightshades based on my information and I have found no issues with consuming these. Have you found that potatoes with even a small bit of green on them are especially toxic? I grow my own potatoes and often they are not kept entirely out of the light before I eat them. And can you cut off the green and still eat the potato? As long as it is only a tiny speck, the potatoes should be fine once you remove it. However, with anything that covers more than that, you should be cautious. At the advice of a naturopath I did an elimination diet in September where migraine triggers, dairy, gluten, sugars etc. were removed from my diet. At the beginning of this month I started to re-introduce foods. On Thursday I tried white potato and felt like I was going to get a migraine (I usually have them with auras) and ended up with a headache for 3 days. While my naturopath said that the nightshade family can trigger migraines I am still shocked at what happened. My plan is to hold off on any other foods from this group till the end of the reintroduction and I will also try potato again just in case the headache was due to something else (like the weather). Do you have any advice on what I should try first and in what form (cooked or not cooked?). I have not experienced any issues with potatoes or tomatoes even though they are part of the nightshade family. Keep in mind that the alkaloid content is only reduced by 30-40% by cooking and in my opinion, cooking does not help. Certain nightshades are much more likely to cause migraines and should be avoided altogether. They are: sweet and hot peppers, eggplant, tomatillos, tamarios, pepinos, pimentos, paprika, and cayenne. Have you been keeping a food journal? Have you been able to identify how soon you get a migraine after ingesting a potential trigger? Try to only introduce one food item at a time and not an entire food group. In order to test your theory, I would boil white potatoes until soft and eat them together with something that you know is safe. Do not add any sauces or mix any unknown ingredients and do not add any spices whatsoever. I would do this over a few days to see what happens. Also keep track of your sleeping patterns and exercise routine.